In December 633, the legendary Muslim warrior Khalid ibn al-Walid arrived at al-Firad, a fortress of one of the great powers of the day, the Sassanid Persian Empire. The other great power, the Byzantine Empire, seeing the Muslim advances all over Iraq, decided to aid the Persians against Khalid even though they had just fought a series of exhausting wars against each other. Everywhere he had gone in Persia, he had called the people to accept Islam or pay the jizya, the Qur’an-mandated tax for the “People of the Book.” For Khalid, the invasion of Persia was an expedition to bring Islam to the Sassanid Empire, or to subjugate the Zoroastrians and Christians in Persia under the rule of the Muslims. The Persians and Byzantines had every reason to be concerned. Khalid told his men: “Press your pursuit of them. 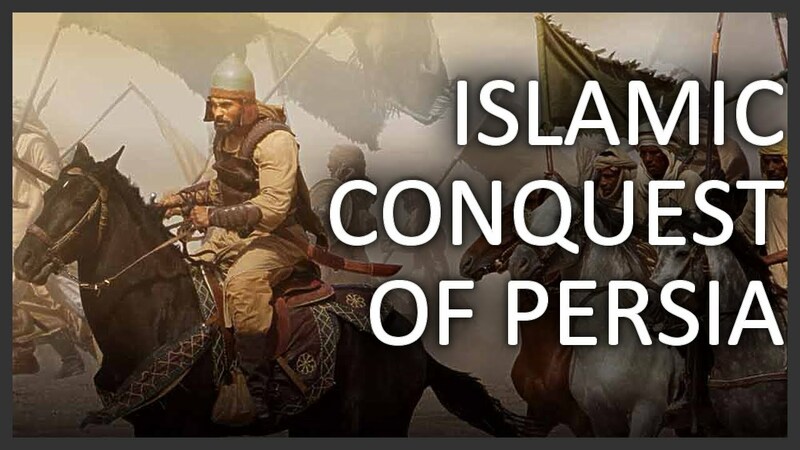 Do not grant them any respite.” The Muslims won a decisive victory. Tabari notes that “the cavalry commander would corner a group of them with the spears of his men; having collected them, they would kill them.